By Lovesick Lunatic. Donations go to HOPE Atlanta. Minimum donation is $2. Any amount above $2 is tax-deductible. 100% of project revenue goes to HOPE Atlanta. 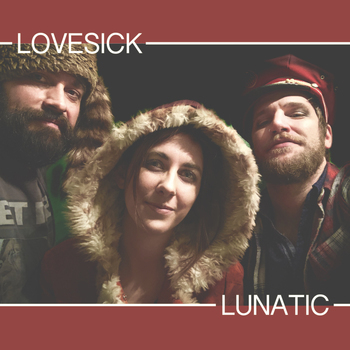 Lovesick Lunatic will be notified of your name and donation amount. Happy holidays friends. We've recorded one of our favorite Christmas songs in an effort to raise money to help the homeless, the misplaced, the unseen human beings in our hometown of Atlanta, GA. We see them. We know the looks on their faces. Some of us see the same person every single day. Most times we don't want to roll down the window or stop and open our purse or wallet because we are busy. We are on a mission. We are late for our jobs that we are blessed to have. We are late to pick up our children at their school that they are lucky to attend. We are busy buying gifts for the people that we love. Every human has a story. When we see our misplaced neighbors in a human light, when we see them, period. We all win. Please consider visiting HOPE Atlanta's website for more info on the broad range of work they do in our community to not only aid homeless individuals but for the prevention of homelessness. Cheers everyone, love to you all. The end of homelessness in our community. HOPE Atlanta provides a comprehensive approach to address homelessness and solutions that promote lifelong stability. HOPE Atlanta offers an array of services designed to achieve the agency's goals, including shelter and other emergency services, transitional and permanent supportive housing, case management, street outreach, homeless prevention, domestic violence services, HIV/AIDS services, reunification, and rapid re-housing. Each year the agency serves over 6,000 unduplicated individuals through our various programs, and at least twice as many were provided information and referrals. The majority of the people we assist are homeless or about to become homeless and have very low income. Many are chronically homeless, veterans, victims of domestic violence, suffering from mental or physical illness, or chemically addicted. They are usually initially in crisis and in need of immediate crisis intervention services. The crises may be due to homelessness, the threat of homelessness, unemployment, abandonment, poverty, illness, hunger, domestic violence, poor planning, financial emergencies, and/or unforeseen circumstances.